As we are sure you are aware, here at Coreco we like to make sure that we thank and recognise all of our lenders, business partners and staff who help to make Coreco the company it is. To take things a little bit further, we created our annual Coreco Awards, the “Roco’s” to pay tribute to those we have had a particularly positive experience with throughout each year. 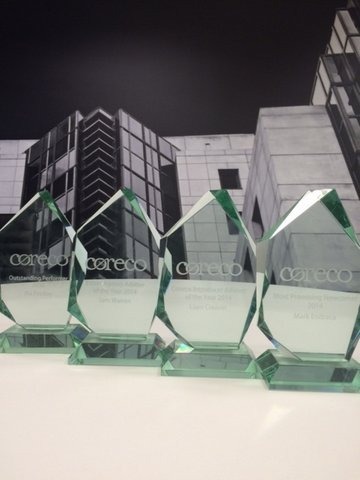 The awards are voted for by everyone equally at Coreco and we are delighted to announce the Winners and Runners-Up for our Roco Awards for 2015. Thank you to all of our winners, runners up and to those who also contributed to a brilliant year. A Happy New Year to you all and here is to making 2016 even more successful.